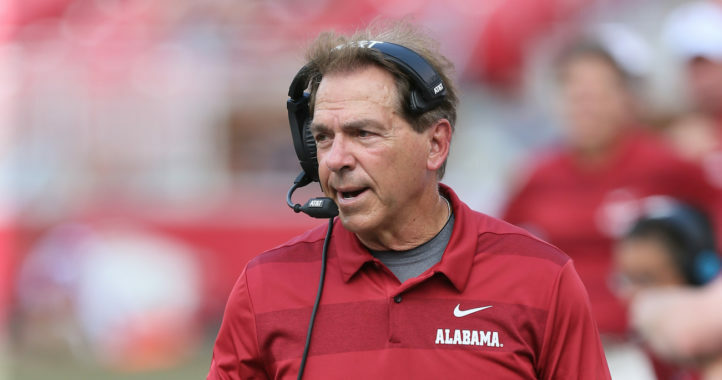 TUSCALOOSA, Ala. — Alabama football held its annual A-Day spring game with the White team downing the Crimson team 31-17 on Saturday afternoon. The White team was composed of the first-team defense and second-team offense while the Crimson team featured the first-team offense and second-team defense. Freshman wide receiver John Metchie was named A-Day MVP while helping the White team to a big victory and earning the group a steak dinner. Here are three things I liked from Alabama’s spring game. After throwing an early interception, Alabama quarterback Mac Jones responded well the rest of the day. Jones threw for 271 yards and 2 touchdowns while leading the White team to victory. Jones completed 83 percent of his passes while solidifying his place as the backup quarterback to Tua Tagovailoa. It should be noted that Jones played against the second-team defense, but he still deserves credit for showing command of the offense and playing well for much of the contest. If Jones can continue to develop, Alabama’s quarterback position will be in good hands. Alabama fans were spoiled last year with the play of receiver Jaylen Waddle as a true freshman. This year, Alabama fans has another freshman receiver to be excited about: John Metchie. Metchie caught 3 passes for 101 yards in the first half, and finished the game with 5 catches for 133 yards. Metchie was named A-Day MVP. Alabama is loaded at receiver with Waddle, Jerry Jeudy, DeVonta Smith and Henry Ruggs all back, but Metchie might be too good to keep off the field. Another young offensive player who should be mentioned is tight end Cameron Latu. Latu looked like a natural after switching from linebacker this spring. Latu caught 2 passes for 37 yards. He played with the first-team offense, splitting time with Miller Forristall. Latu will have all summer to continue learning the position, but right now, he already looks like he was born to play it. 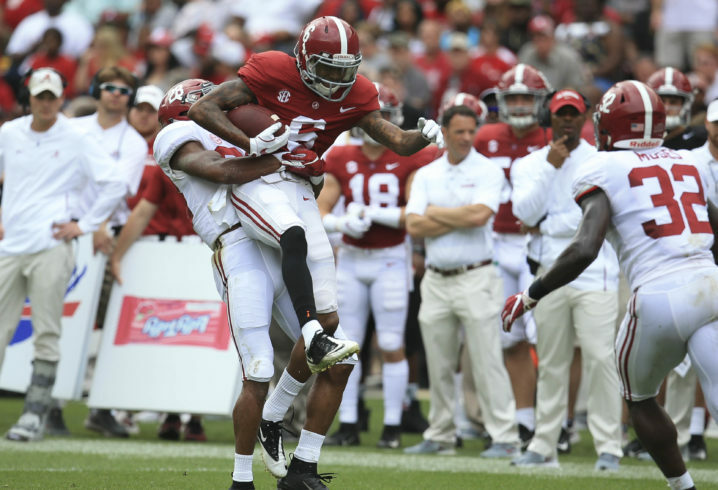 With Trevon Diggs healthy and Patrick Surtain back for his sophomore year, Alabama needed someone to step up as the third cornerback. Josh Jobe has done that. Jobe (tackling Smith in the cover photo, above) started at right cornerback in Alabama’s nickel while Diggs lined up at left cornerback. Surtain played nickel defensive back. Jobe looked really good in coverage all afternoon, notably on a couple of routes against Jeudy. Jobe has the length and athleticism to be a really good SEC defender. Jobe stepped in during Alabama’s national championship loss against Clemson in January. He looks ready to build on that strong performance. One group that can help Jobe and Alabama’s secondary is the pass rush. Alabama had guys play well in the front seven for both the Crimson and White team. Alabama had nine players register at least one sack Saturday. The pass rush forced Tua Tagovailoa off his spot several times and forced the younger QBs to flee the pocket or throw on the run. That’s going to help the confidence of the young players as Alabama continues to build depth in its front seven. 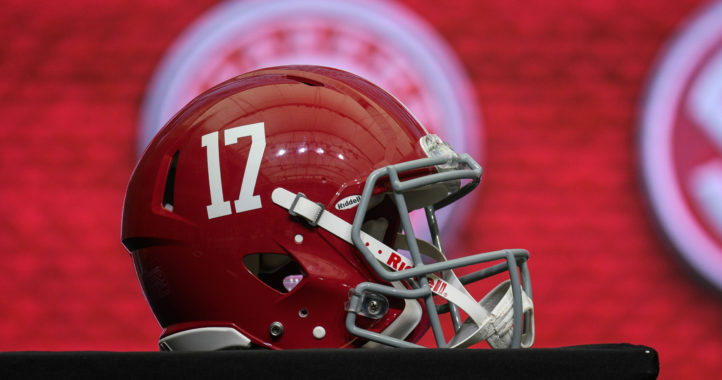 Veteran Alabama beat reporter Marq Burnett covers the Crimson Tide for Saturday Down South. If Arizona wants the best player in the draft, the Cardinals would be wise to pass on Murray according to McShay. The first team defense looked solid, but the second team defense was smoked by Jones and Robinson. I hope they can get better so our defense has some depth this season. There were some mistakes made by receivers, but overall they played solidly (tight ends especially). Dropped passes made the first team defense look better. You could argue that, but the defensive line got good pressure the whole game, and the secondary looked much improved despite several drops. I agree with you about the d-line. The secondary did look improved but that’s not saying much because they were so bad last year.